As beautiful as colorless diamonds are, some people want to make their engagement rings more personal. Colors can help you promote your personality and perhaps a little bit more of a statement about who you are. Tanzanite Cushion & Marquise Diamond Ring from Leibish & Co.
Gemstones are often incorporated as they offer many strong colors such as red, green, and blue, and connecting your personality to colors just works. There is also the option of fancy color diamonds, which are rarer diamonds with certain natural elements that bring color to the stone. Although they tend to be pricier than the colorless diamonds we are all familiar with, and precious gemstones for that matter, they are the perfect combination of diamonds and color. The question then is, should you go for a color diamond engagement ring or a color gemstone engagement ring? Here is a quick rundown of each of these stones, their pros and cons, and what you can expect from them. Diamonds are the hardest substance known to man. This is in fact just one of the reasons diamonds are so sought after. The rare shine of a diamond, known as its brilliance, is another major factor. 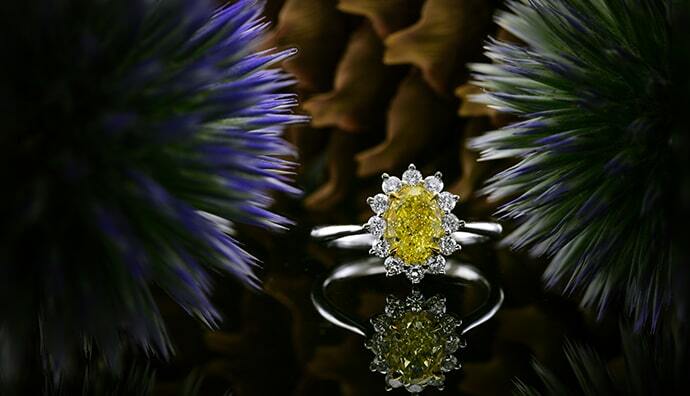 The added benefit of fancy color diamonds are the colors in which the stones are found. The color however works twofold. On one hand it makes them more desired because of their one-of-a-kind nature, whereas on the other hand some folks feel the color is just too far off the more accepted colorless trend. If you have your mind set on a diamond but would like some color, a color diamond is the way to go even though it may come at a greater cost. Keep in mind that the fact that they are at the top of the Mohs scale of hardness compared to all other gemstones, they are not indestructible. The chances of them cracking are far less, but diamonds can chip just like any other gemstone in the market. The great thing about gemstones is that they are available in a myriad of colors, and for the most part the colors are very strong. The downside is that they aren’t diamonds. But between us, the fact that ‘they aren’t diamonds’ is only years of good marketing telling you that they are not on the same level. Diamonds are just another gemstone, not any less ……... 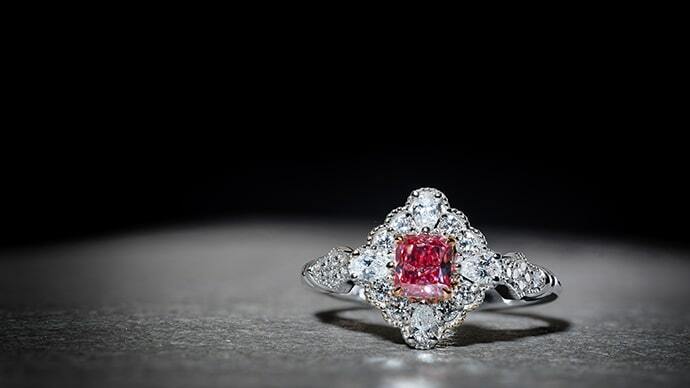 The red color of a ruby is like no other stone, as is the majestic green of an emerald and the royal blue of a sapphire. The additional colors of these stones as well as the colors of the many other semi-precious gemstones out there are also plenty beautiful and joyful. Not to mention, they are always incredibly vivid colors compared to the average colored diamond you might be able to attain. You simply need to ask yourself how much you’d like to spend on a stone and on the ring as a whole. That will help direct you towards the right stone for you. Something else that is important to acknowledge is that the diamond is really only the 'go to' stone as a result of years of heavy marketing. In fact, if you look at jewelry, scepters, and crowns of many of the royalty and rulers of the past you will see a wide variety of gemstones included in their designs. To summarize, diamonds are most definitely superior in terms of durability. 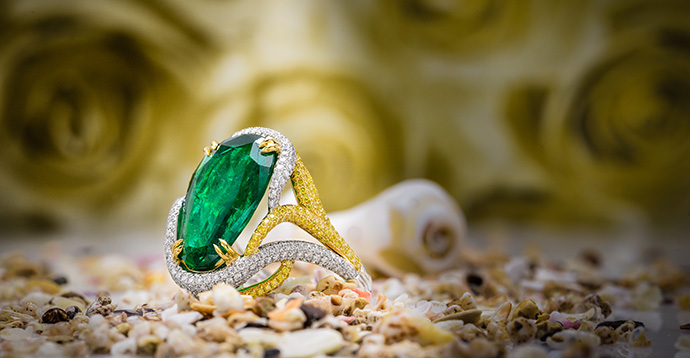 While sapphires and rubies are still pretty good choices in terms of hardness with a 9 ranking, emeralds are less durable and may not be the best choice if you plan on wearing your ring every day. Having said that, all of these precious gemstones are far sturdier than all of the semi-precious gemstones. Regardless of your choice, people often forget that there is actually a need to care for your jewelry. That means you have to take care of it, clean it, take it off if you plan on playing tennis or are headed outside to the work on the garden. If you are after color, and cannot afford a diamond, any one of the many colored gemstones can be a strong contender with an emphasis on the precious stones. 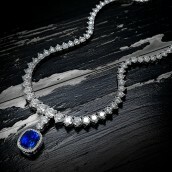 But keep in mind that some of the more precious rubies, sapphires, and emeralds can be just as expensive as diamonds. Semi-precious gemstones may be more durable and thus last longer, especially when cut into cabochons rather than faceted stones. Soft faceted stones can have their facets rounded overtime, which affects the shine of the stone as well as its overall appearance. It is true that diamonds for the most part are the most expensive gemstone, but there are exceptions to every rule. 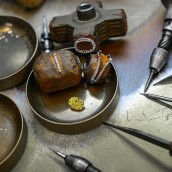 For starters, there are diamonds of lower quality that can be more affordable. You just have to learn where to compromise if you need to fit a nice stone to a tighter budget. Similarly, one has to bear in mind that the majority of colored gemstones have gone through some kind of treatment. This makes them more affordable, but it also means, depending on the treatment that their color may slightly fade over time. Those few stones that have not been treated can cost even more than a diamond. That is why it is important to look at the whole picture. Diamonds may cost a bit more, but you will most likely be getting a high quality product that will last a lifetime and then some. If we had to give one piece of advice you should take with you when looking for a new piece of jewelry, we would say go after what your heart desires. In the end, you need to be in love with your selection. If you like the look, browse through our collection of colored diamond or gemstone engagement rings. Do More Facets Equal More Sparkle? Would you Consider Piercing your Finger as Opposed to Wearing a Diamond Ring?